Product prices and availability are accurate as of 2019-04-18 23:15:12 CDT and are subject to change. Any price and availability information displayed on http://www.amazon.com/ at the time of purchase will apply to the purchase of this product. 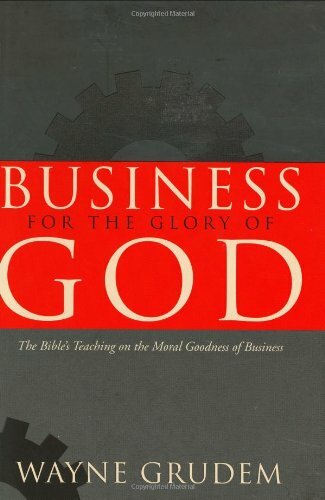 Can business activity in itself be morally good and pleasing to God? Sometimes business can seem so shady-manipulating the "bottom line," deceiving the consumer, or gaining promotions because of whom you know. 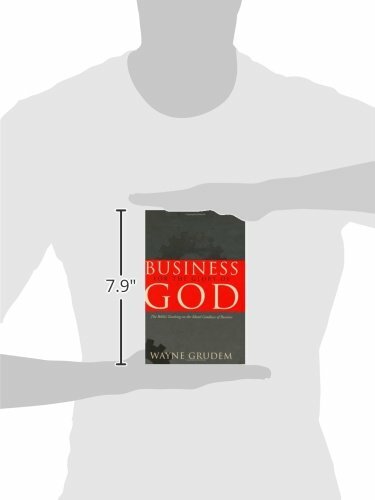 But Wayne Grudem introduces a novel concept: business itself glorifies God when it is conducted in a way that imitates God's character and creation. 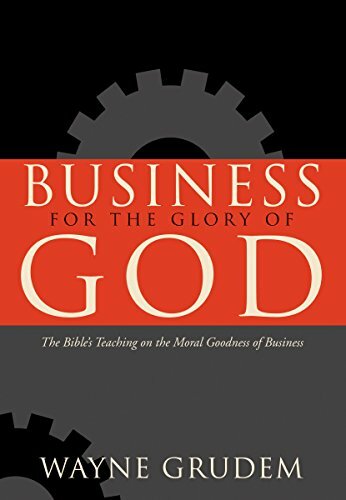 He shows that all aspects of business, including ownership, profit, money, competition, and borrowing and lending, glorify God because they are reflective of God's nature. 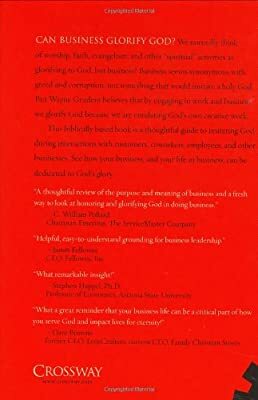 Though Grudem isn't naïve about the easy ways these activities can be perverted and used as a means to sin, he knows that Christians can be about the business of business. This biblically based book is a thoughtful guide to imitating God during interactions with customers, coworkers, employees, and other businesses. See how your business, and your life in business, can be dedicated to God's glory.